There’s nothing more frustrating than slicing into a bright green watermelon only to be greeted by a pale and less than appetizing interior. Or, perhaps you’re used to bringing home a carton of blueberries only to have them spoil by morning. At Foodtown, we do everything we can to ensure our produce is delivered at just the right time so shoppers have an array of fresh vegetables and fruits to choose from. 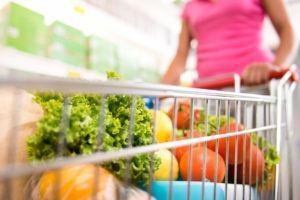 However, there are a few tricks to keep in your back pocket to make your visit to the produce department as stress-free and successful as possible. 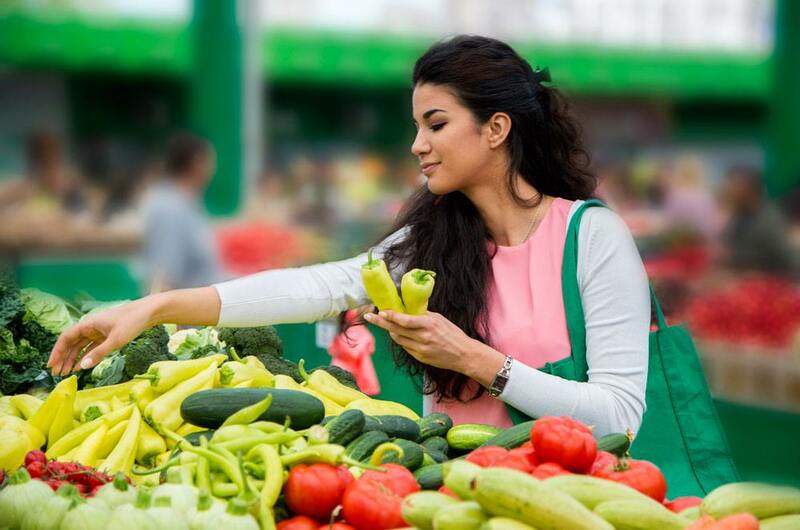 Here are some of our tips on how to select fresh fruits and vegetables. Before you begin picking through your favorite golden delicious apples or sorting through leafy bundles of lettuce, there are a few key things to keep in mind. It is important to know that most commercial farms pick fruit and vegetables well before ripeness so that they are delivered to the grocery store at the peak of freshness. However, your senses play the biggest role in identifying the best fruits and vegetables, and you’ll have to use your hands, eyes, and nose. How Can You Tell When a Fruit is Ripe? Apples, Pears, and Stone Fruit—Inspect the surface and avoid those that show bruising or dents, as these types of damage lead to quicker rotting. Bananas—Ripe bananas are yellow with brown speckles—too much brown indicates the fruit being overripe. Green bananas are fine to purchase, as long as you don’t plan on eating them right away. Berries—When shopping for blueberries, strawberries, or blackberries, open the carton and check for any signs of leaking or mold. Strawberries should still have the leafy cap attached and be free of any seedless spots. Melons—Whole watermelons, cantaloupes, and honeydew should feel slightly heavier than they appear, indicating juiciness. Don’t be afraid if a small area of the skin has scarring—this simply means that was the resting place of the fruit when on the vine. Citrus Fruits—Like melons, citrus fruits such as grapefruit, lemons, and oranges should feel heavier than they appear. The skin should be even in color and void of any excess streaking of yellow or white. Pineapple—Whole pineapples should feel heavy for their size and have crisp leaves. Pineapples have one of the strongest aromas of all fruit—turn them over and give the bottom a whiff. It should smell fragrantly sweet. Cherries—Cherries should be plump with a rich vibrant color, void of bruising or dents. Avoid buying any that are missing stems, unless you’ll be eating them right away. Bell Peppers—Bell peppers should be firm and void of any soft spots. No matter which color pepper you are purchasing, look for consistency along the entire surface and avoid any with split or broken stems. Cauliflower and Broccoli—Color is a key indicator of the freshness of these vegetables. Broccoli should be a pale green and cauliflower should be an off-white, void of any yellowing or browning. The heads should be heavy and compact. Corn—The husk of corn should be pale green and moist looking, free of any browning or drying. Whether purchased with or without the husk, the kernels should be plump and firm to the touch. Root Vegetables—Carrots, beets, potatoes, and onions should be hard to the touch and free of any cracking or soft spots. If roots are still attached, they should be sturdy and crisp, void of any wilting. Leafy Greens—Use your fingers to assess as many layers of the greens as possible. Both the leaves and stalk of kale, lettuce, and cabbage should be crisp, void of wilting or browning. Check for any tears in the leaves. While a few are expected to occur during delivery, avoid any with tears that are beginning to brown. While some bruising during delivery is unavoidable, Foodtown puts great care into stocking our produce department with only the highest quality. Now that you know how to select fresh fruits and vegetables, we encourage you to use these tips during your next visit. We bet you’ll have no trouble choosing ripe fruits and fresh vegetables! Whether shopping online or visiting Foodtown in-person, you’ll have access to high-quality produce at family-friendly prices. Be sure to take advantage of our weekly circular for ongoing savings and discounts.